Shop Only HOT Deals Today! 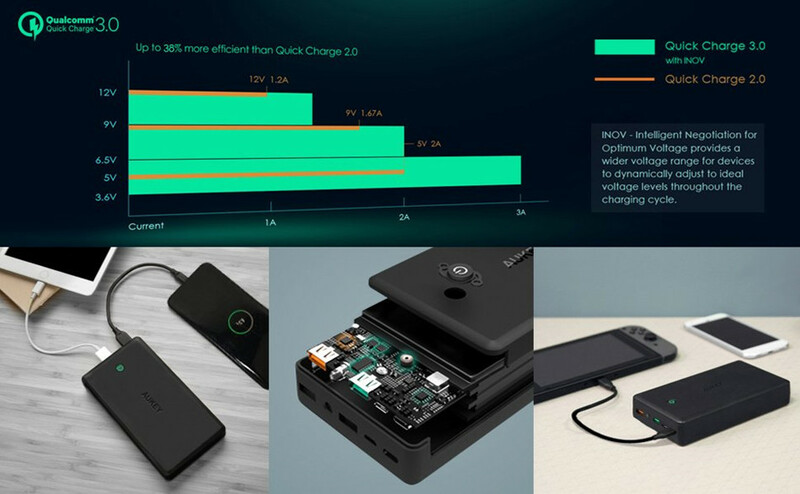 Quick Charge 3.0 – Charge compatible devices up to 4 times faster than conventional charging. 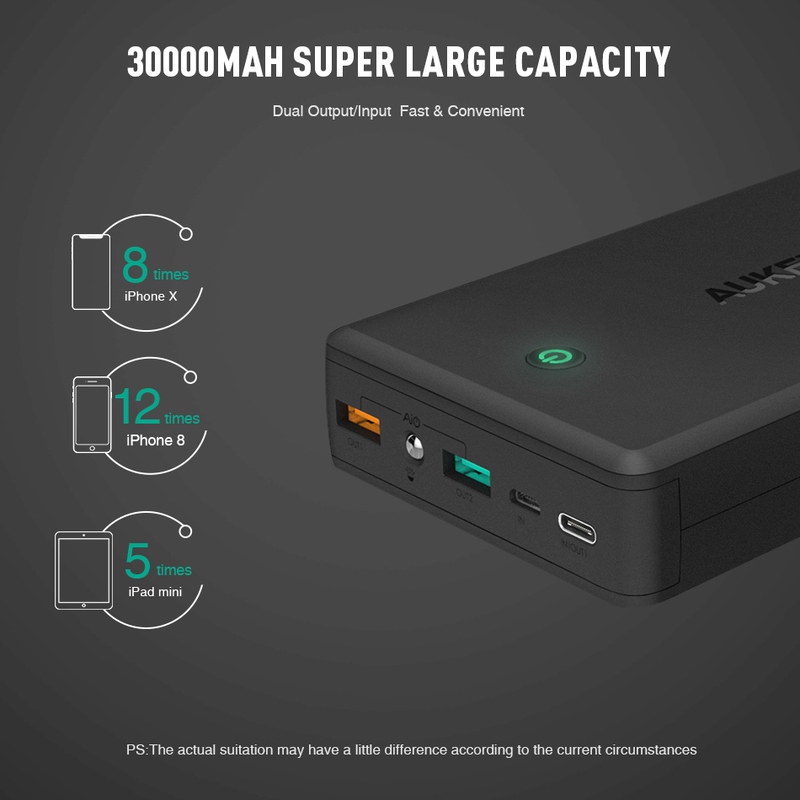 Huge 30000mAh Capacity – Fully charge your iPhone 7-10 times, or a 9.7-inch iPad Pro 2.5 times, etc. 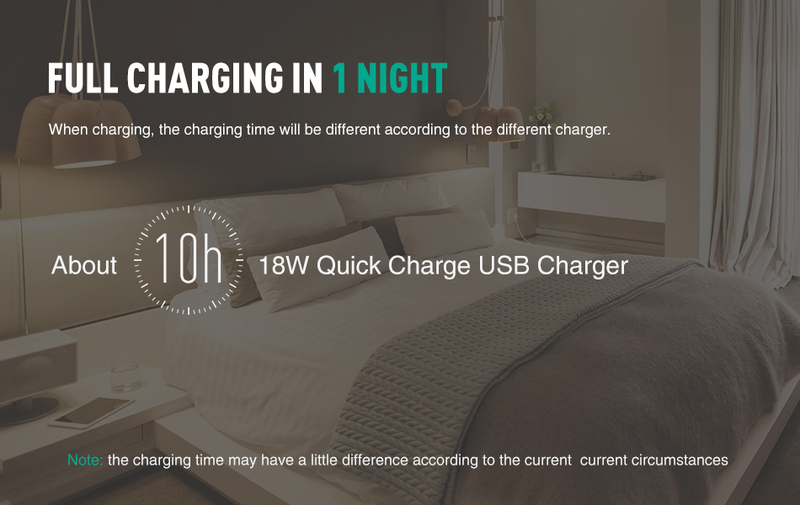 AiPower Charging Technology – Get the safest maximum recharge rate for all of your USB powered devices. 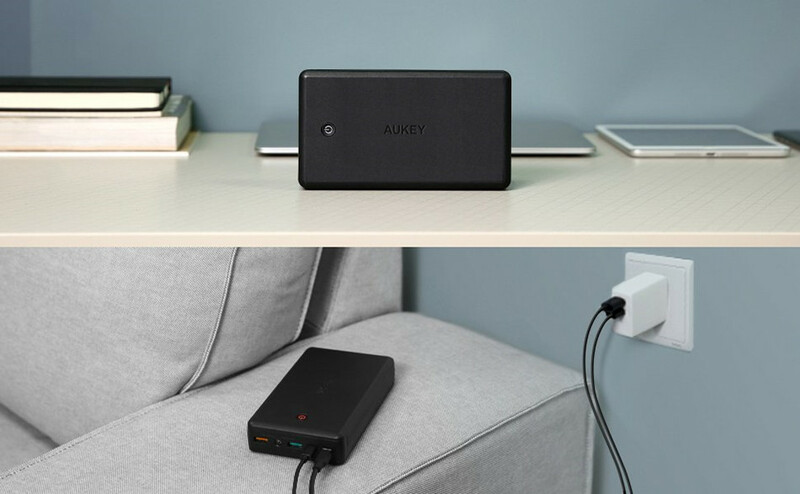 MULTI-FUNCTION – Use a USB-C cable to recharge your devices and the PB-Y3 Power Bank at 5V 3A, or use a micro USB cable to recharge your devices and the PB-Y3 at 5V 2.4A. 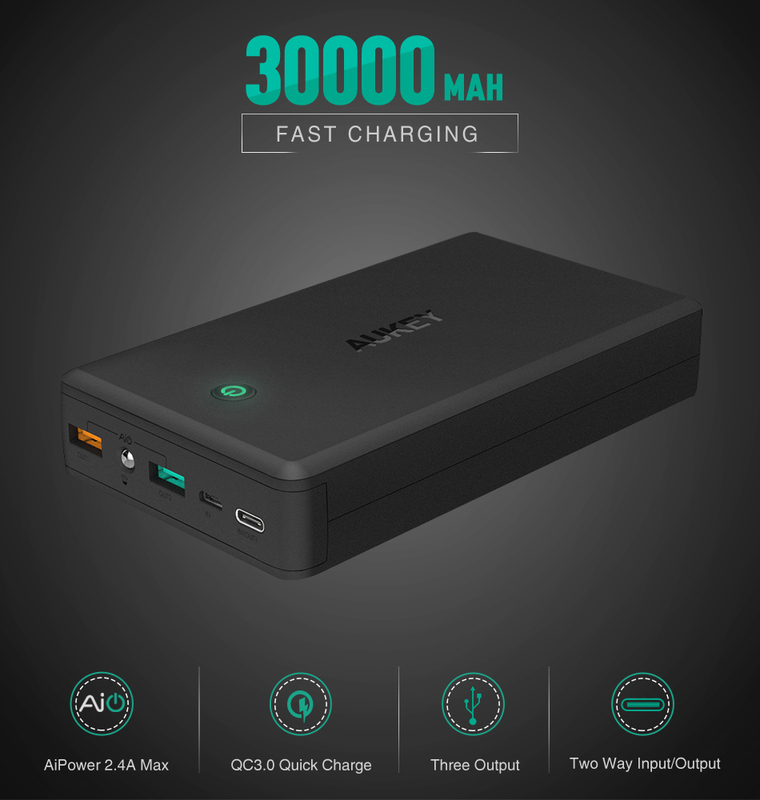 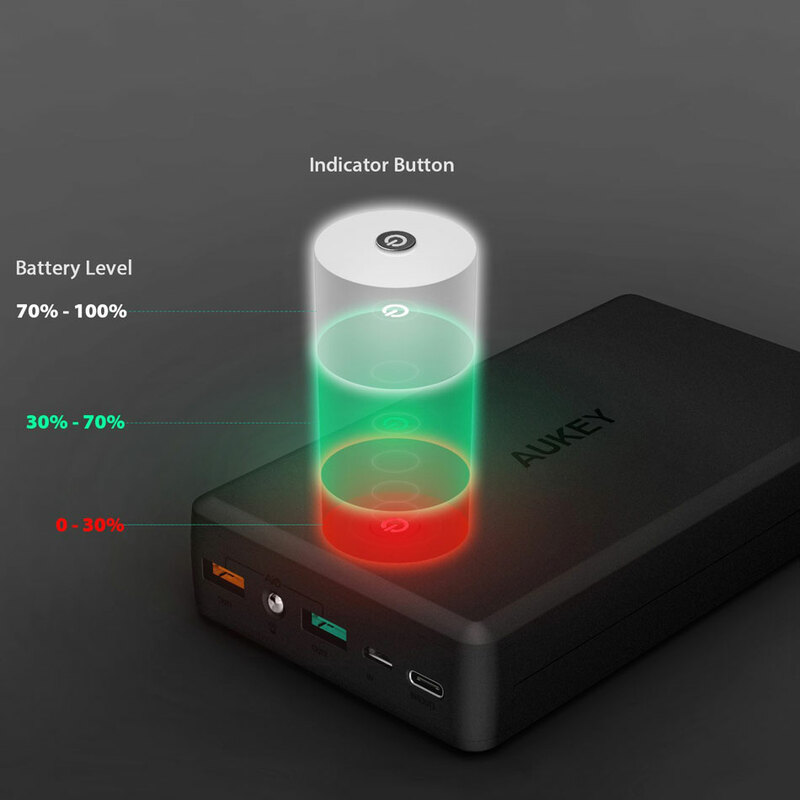 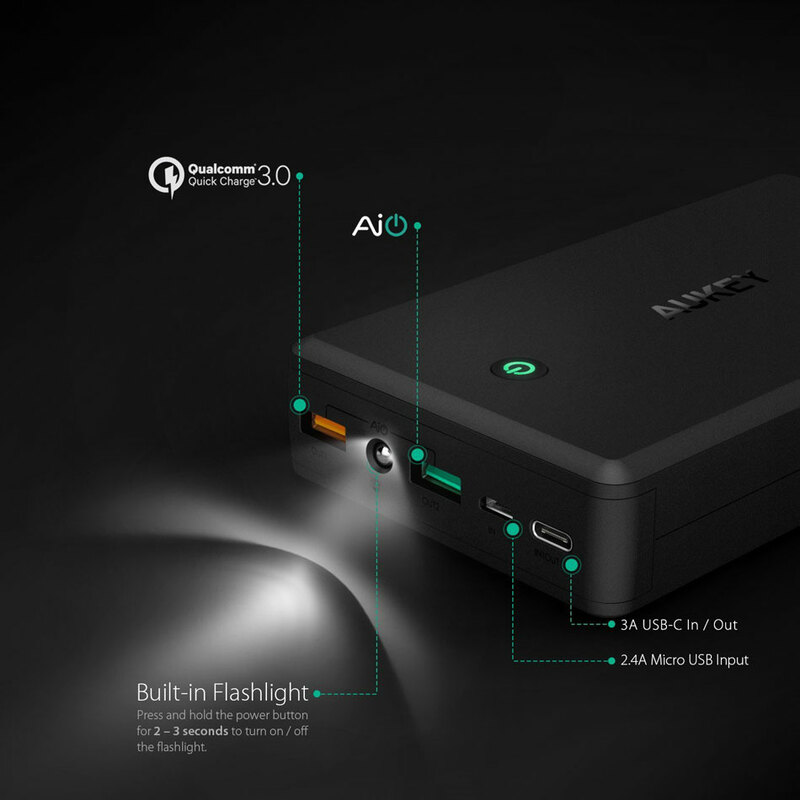 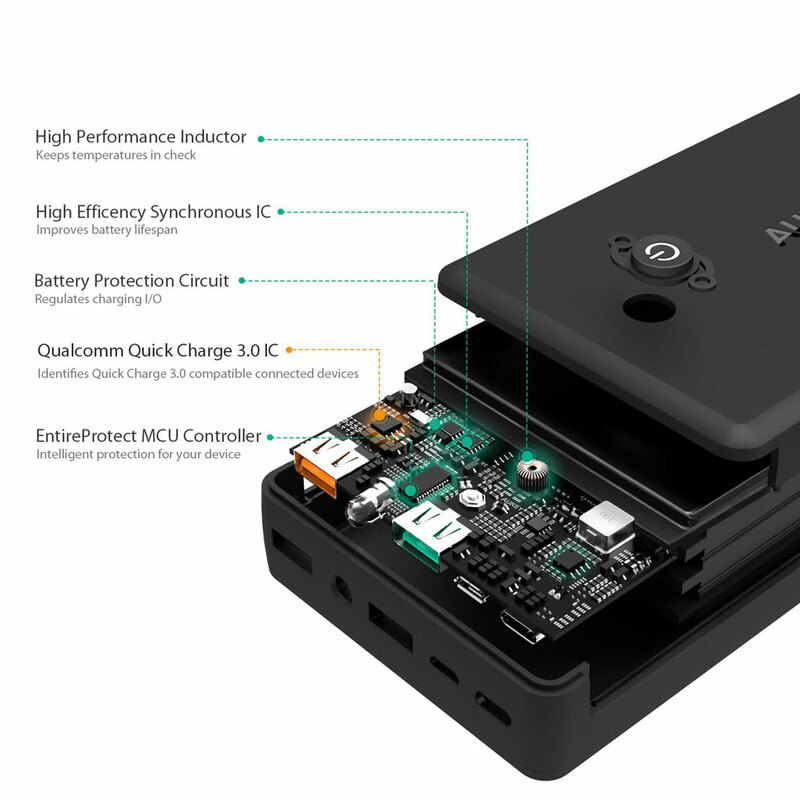 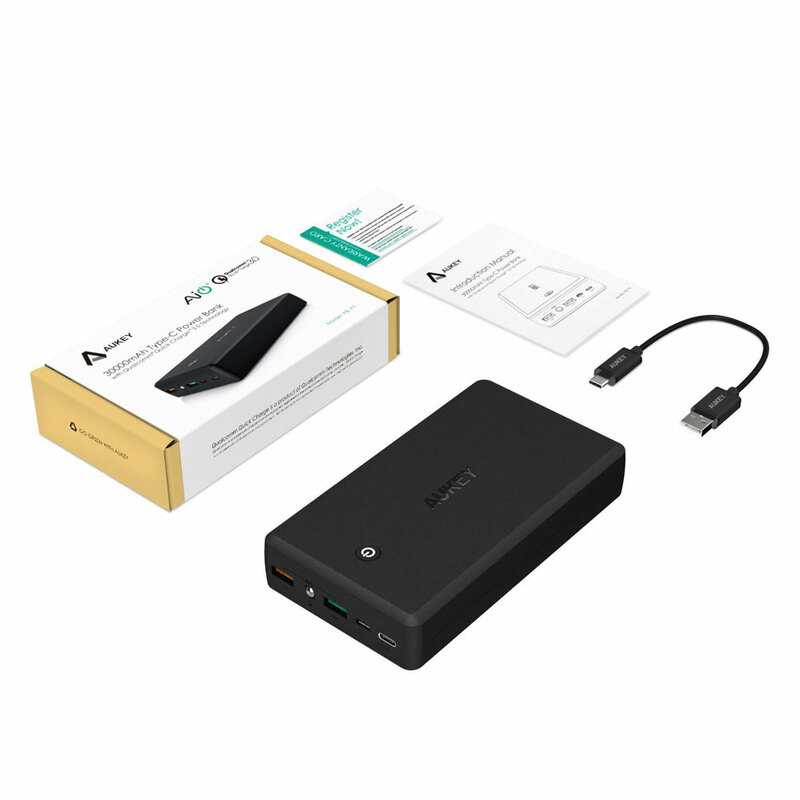 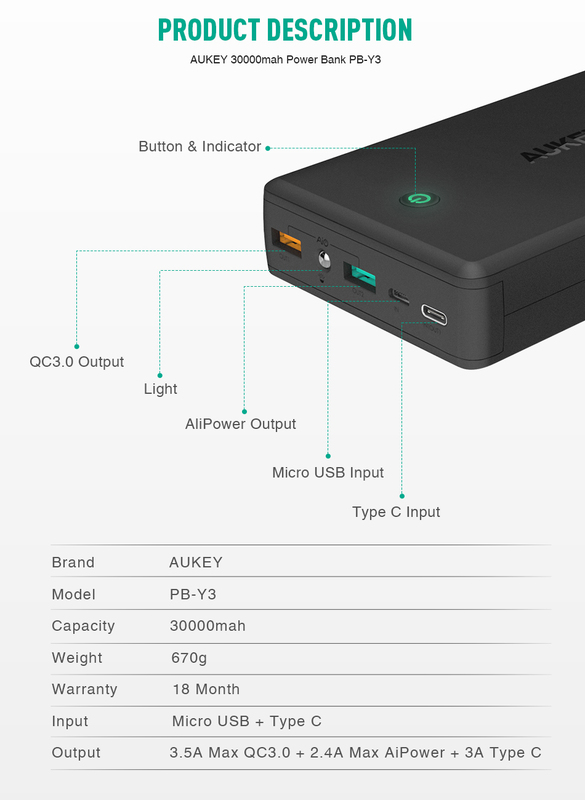 Package Contents – AUKEY PB-Y3 30000mAh Power Bank, 20cm USB-A to C Cable, User Manual,Warranty Card. 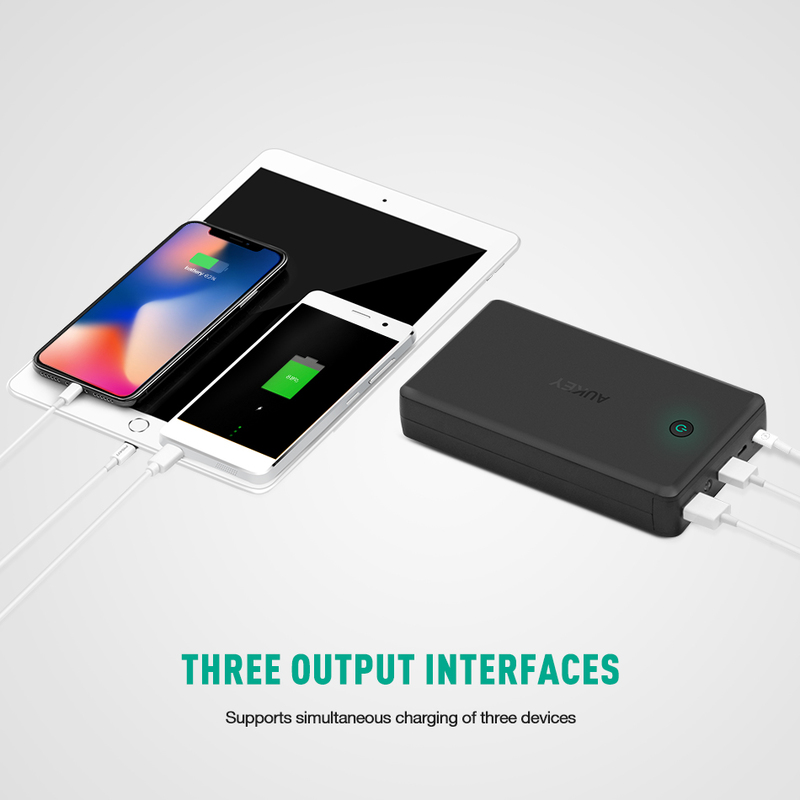 Designed to work with all popular USB powered devices from iPhones to Android phones, tablets, photography gear, Bluetooth speakers, headphones and more. 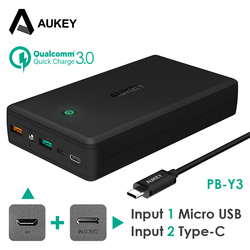 Simultaneously plug into the micro USB and a USB-C input on the PB-Y3 to recharge the Power Bank in about 8 hours with a combined current of up to 4A. 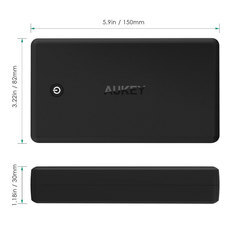 Large Power Bank capacity doesn\’t have to mean long wait to recharge.